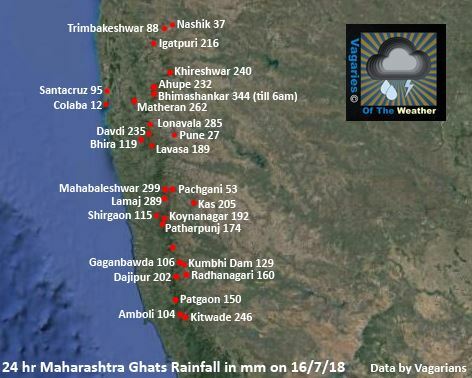 All time record of July month for Cochin was 181.1 mm on 24 July 1969. So that record is broken today !! Also fact is that Cochin hardly sees century in July, as in past 10 yrs only one century in 2009 had been recorded with 114 mms and now has got double century with new record set for July month. 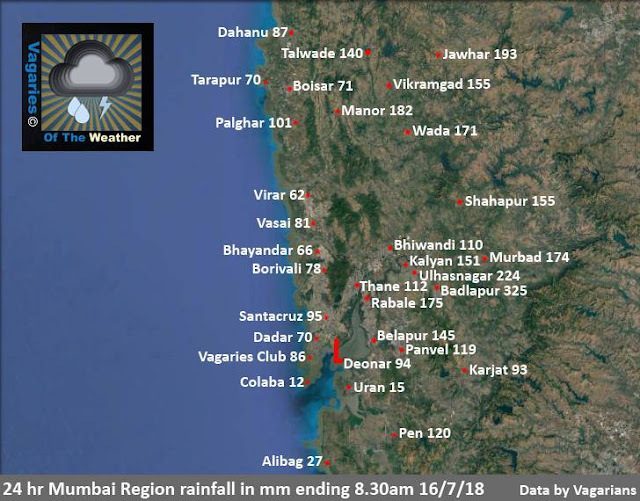 Salim: Jabalpur will get some increase in rains on Tuesday and Wednesday from the BB-4 system. But overall, deficient for some time till we see another system. 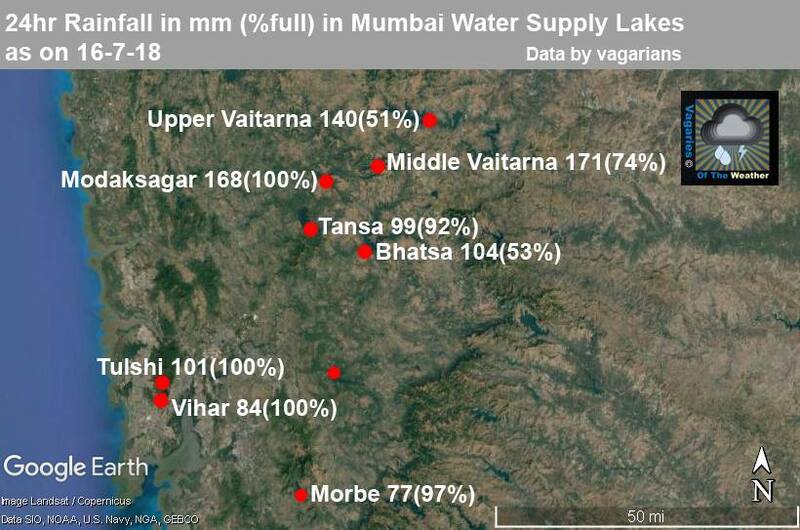 Barvi Dam filled 83 percent, Modak sagar, Vihar & Tulsi filled 100 percent, Tansa filled 92 percent, Bhatsa filled 63 percent.